I have experienced issues of diversity firsthand working in local government management, teaching at two institutions of higher education, and through volunteer leadership roles with various secular and religious institutions including the Lakeshore Ethnic Diversity Alliance CEO Advisory Committee. The sum of these experiences, along with the many conversations held with leaders of major private, public and nonprofit organizations throughout West Michigan, has led me to one conclusion: Discrimination is not only alive and well, but it will also negatively impact the future prosperity of Ottawa County and West Michigan if not addressed. I have listened to the CEOs of some of West Michigan’s top businesses state that access to global talent is a major determinant of their company’s solvency. Some of these same leaders disclosed that an inability to create diverse teams in the future could lead to the relocation of corporate headquarters or company divisions to larger, more diverse areas such as Chicago. Talent can be homegrown in some cases, but a competition to attract global talent is currently happening and it will only intensify. The future prosperity of West Michigan hinges upon pursuing and welcoming diversity. Who doesn’t want to see an Ottawa County that continues to feature innovative, successful businesses that will provide jobs for our children and grandchildren? Both education and diversity play a major role in our future success. So, what is being done to address this? Great examples of public-private and nonprofit “tri-sector” approaches are underway, including West Michigan Talent 2025, the Ready for School initiative and the Great Start initiative. The Ottawa County Board of Commissioners selected Cultural Intelligence as one of the elements of the Four C’s Strategic Improvement Initiative. A Cultural Intelligence Team has been assembled representing various departments, courts, offices and agencies that make up Ottawa County. The mission of the Cultural Intelligence Initiative in Ottawa County is to promote an environment where all employees, residents and visitors are valued and welcome. We are not looking to old, tired methods of increasing diversity such as racial quotas, nor will we engage in ineffective conversations motivated by shame, blame and guilt. Our first step is a partnership with the Lakeshore Ethnic Diversity Alliance. They have already held several sessions of Racial Equity Training for county employees, which will continue until all staff have been reached. The training builds understanding; shows how we can work to eliminate the impacts of unintentional bias; and focuses on effects, systems, responses and solutions for diversity challenges. Demographics are changing in our nation, state and county at a rapid rate. The historical percentage of Caucasians in the U.S. population has been very high, ranging from between 80.7 percent in 1790 to 88.6 percent in 1960. The Immigration and Nationality Act of 1965 radically changed national immigration policy and opened the door to greatly increased immigration from Africa, Asia, and southern and eastern Europe. Today, the white percentage of the population stands at 72.4 percent, and researchers predict that this percentage will decrease to 45 percent nationally and 68 percent for Michigan by 2040. Population growth rates by race/ethnicity for the past three decades serve as a harbinger of what our future population will look like. The white population saw decadal growth rates of 4, 3 and 11 percent for 1980-2010. Over the same time period, the black population increased 12, 16 and 11 percent; the Latino population increased 53, 58 and 43 percent; and the Asian/Pacific Islander percentage increased 109, 50 and 43 percent. While Ottawa County statistics are not as dramatic, we have seen a significant increase in the Latino and Asian populations in the past 20 years, and this is projected to continue at an increased rate in the future. We have a choice as leaders and residents of the greatest county in Michigan. We can bury our heads in the sand and refuse to educate ourselves on how these trends will impact Ottawa County and West Michigan in the future. Alternatively, we can grab the bull by the horns and address these issues now and enhance our future prosperity. Al Vanderberg has served on the Lakeshore Ethnic Diversity Alliance (LEDA) Advisory Committee since 2009. This group meets once per year during the annual Institute on Healing Racism event held in Holland. The committee includes leaders of many of the largest private businesses in the County as well as representation from non-profit and public employers. Early on Vanderberg was struck by the importance that major private corporations were placing on their ability to develop and attract diverse talent to their businesses. In some cases the connection between the ability to attract global talent and the long-term viability of the business being located in Ottawa County and West Michigan was made. This along with other career experiences, perspective gained by more than a decade teaching for Grand Rapids Community College and thinking related to social justice in his leadership roles in his church over the years, led Al to develop a different approach to framing the diversity-cultural intelligence issue in Ottawa County, West Michigan and beyond. In Al's opinion, too much wasted effort has been made framing the diversity issue as one of blame, shame and guilt. The real issue at hand is future prosperity. The racial-ethnic mix in our nation is quickly changing and communities that embrace this change will be more economically viable in the future than communities that put on blinders and don't try to understand the history and current status of the racial divide and work positively towards making their communities places where all feel that they belong. The Ottawa County Board of Commissioners has been interested in the impact of cultural intelligence on Ottawa County since at least 2006 when it was brought up as an issue in the Board of Commissioners Strategic Planning Session. The Board of Commissioners approved the Four C's Strategic Initiative over two years ago and progress has been made with improving Communication, Customer Service, Creativity and Cultural Intelligence. The board approved a two-day, 8 hour training program for all County employees and training has been completed for approximately 300 employees at this time. Vanderberg appreciates the overall receptiveness to the training by Ottawa County employees and is pleased with the progress of the County Cultural Intelligence Committee created to further the work of cultural intelligence during and after the training has been completed. 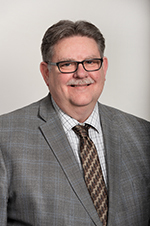 Ottawa County Administrator Al Vanderberg also serves as one of the four co-chairpersons of the Diversity Initiative of Northwest Ottawa County. Copyright © miOttawa.org. All rights reserved.